Manhattan, New York, USA. April 12, 2017. 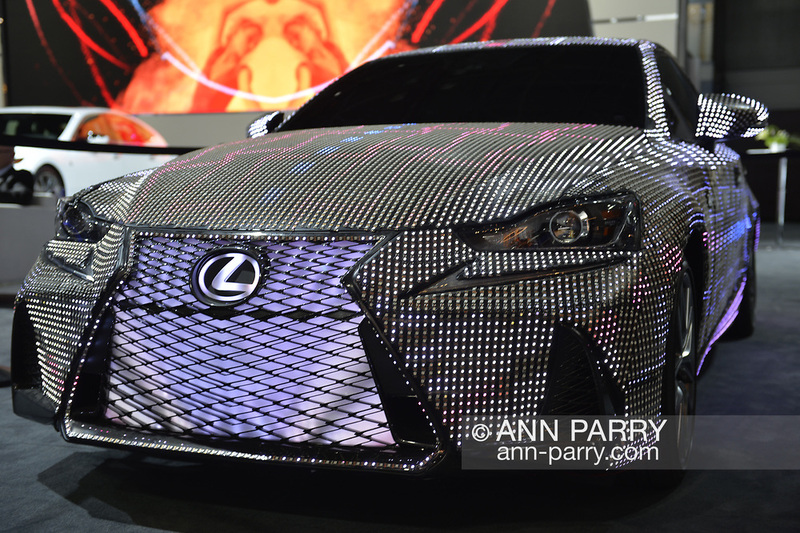 Lexus LIT IS 2017 sedan - covered with 41,999 RBG LED light units programmable to create changing patterns and colors - is on display at the New York International Auto Show, NYIAS, during the first Press Day at the Javits Center. The car had appeared during New York Fashion Week and is featured in UK artist Dua Lipa's music video for her song “Be the One."